There are many travelers to the St Pete Beach area during season. Florida sees a lot of visitors during the winter months as the beaches in this region are warm compared to the rest of the country, where in most cities people experience freezing winters. For getting in and around the St Pete Beach area, you could hire charter bus St Pete Beach service. Have questions? Call us 813-514-6980. There are 20 passenger mini buses at our agency which are perfect to book when you are looking at transporting small groups. There is another 30 passenger shuttle buses, which allow larger groups for corporate or travel operators to be transported around town with ease. 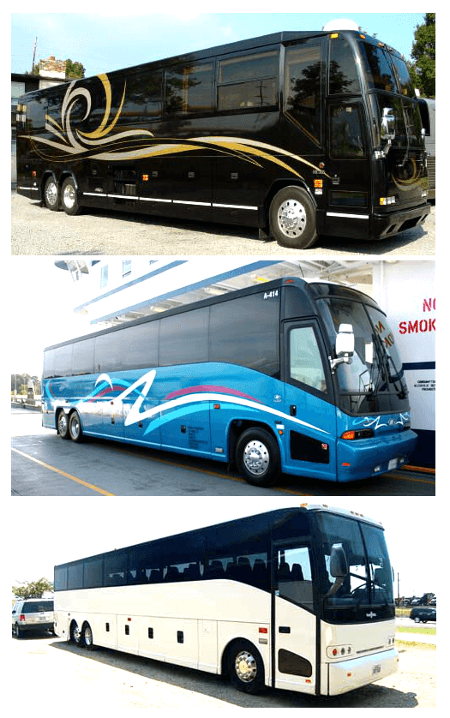 We also offer 50 passenger charter bus rentals. You might be looking at booking one of the charter bus rental St Pete Beach vehicles that we offer. It is easy to choose from the 40 passenger charter buses and check the seating arrangements and other details before booking. Once you have chosen a model on our site, proceed to finalize the booking by paying online. There are several ways of making a reservation. You could even call in at the charter bus St Pete Beach portal where the call center numbers are given. You could opt for shuttle mini or luxury limousine buses from our charter bus rental St Pete Beach service. Get updated prices call 813-514-6980. We also offer St Pete’s #1 party bus rental for those seeking to make some memories! Coastal Kayak Charters; this is one of the eco tours that are arranged around the St Pete Beach area. Saint Pete Beach; this is the local beach to check out for all visitors. Merry Pier; the boardwalk along this area is wonderful to experience. Nature and Wildlife Tours; there are several such tours that one can take up in this area. Kapfer Glass Studio; this is a great place to try out handcrafts and local art. Among the 50 passenger charter buses there are airport shuttle services that we offer. The airport shuttle rides among our charter bus rental St Pete Beach service makes it beneficial for the airport travelers. There are many people traveling to and fro from the nearby St Pete-Clearwater International airport in this region. For this reason, it may be easier to hire our St Pete limousine service for traveling. For those who are traveling from the St Pete Beach area to other places like Palm Harbor, Oldsmar, Safety Harbor, Saint Petersburg, Seminole, Palmetto, Dunedin, South Bradenton, Pinellas Park, Tampa, they will want to avail of the shuttle or mini buses when they are traveling in a group. For these reasons, the charter bus St Pete Beach service will come of use. You will surely be able to find the right coach as per your requirement and budget.